Miguel Cabrera is the most fun player the MLB has had since Yogi Berra. He has give us reason after reason to fall in love with him and his antics, and this is just icing on the cake. 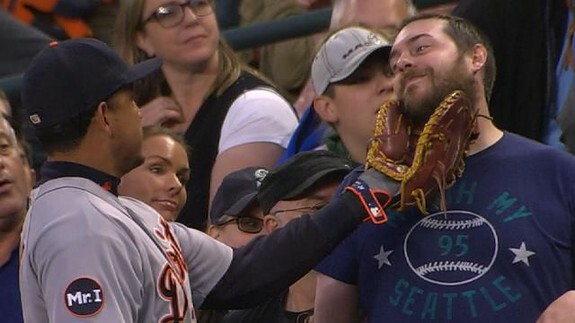 During a 7-5 loss to the Mariners, the Tigers’ first basemen went to make a play on a foul ball down the first baseline, but caught something else in his glove instead. Something much better.